Rather than financing the small businesses through just PSU banking channels, government should include private players like NBFCs & Small Finance banks in the lending schemes in a larger way which would widen the access of credit for small businesses, said Amit Saxena, MD & CEO, Unimoni, in an exclusive interview with SME Times. Please tell our readers about Unimoni India and its entrepreneurial journey. What services do you offer? What is your competitive edge? 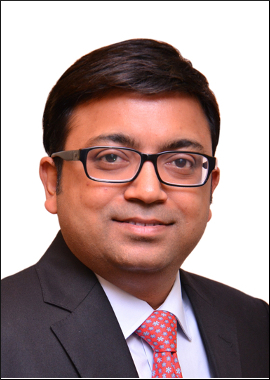 Amit Saxena: Unimoni India, is a Non-Banking Financial Company (NBFC) providing credit solutions, foreign exchange, payments and wealth management offerings to its customers. Unimoni facilitates seamless availability of credit as well as movement of money across India with a focus on delivering convenience, speed and value to its customers. In the financial services arena, NBFCs have emerged as important intermediaries in providing finance to the underserved and underbanked sections of the society. We, at Unimoni, called this segment as ‘India2’, which constitutes around 48-50% of the total population and are generally middle-class salaried customers, small-business owners, self-employed non-professionals; most of them possess their own bank accounts, but they lack universal access to financial solutions. At Unimoni, we are committed to drive the agenda of financial empowerment by offering a comprehensive bouquet of affordable financial products through multiple touch-points spanning retail branches, digital and mobile channels. This way, we endeavour to support the evolving demands of underpenetrated consumer finance and small business markets, and consequently contribute to the overall growth trajectory of the nation. We have a full-stack financial offering of loan, payments and wealth solutions. This gives us a competitive edge over other NBFCs. Hence, we consider ourselves much more than a NBFC. What are the major challenges Indian NBFCs are facing currently? Amit Saxena: Of late, NBFC sector faced issues on liquidity due to large ticket financing companies. There was no issue on retail NBFCs, but the overall sentiment was affected. Access and credit assessment are the core challenges faced by NBFCs in India. According to the World Bank, 9 in 10 people from the lower and middle-income countries around the world do not have a documented credit history. Unimoni endeavours to create a universal financial solutions platform for users through multiple touchpoints spanning the retail sector (branch and agent network) and digital mediums (mobile app, web). Although the factors to determine creditworthiness remains the same, not everyone fits into the traditional model. This is where Unimoni, armed with advanced tech-solutions, building big data analytics capability to develop advanced credit scoring models that incorporate non-traditional data sources. This way, the company can extend a lending hand to India’s creditworthy yet financially underserved population, and simultaneously contribute towards achieving a goal of financial empowerment for the society. Why government has failed to address the credit crunch problem of the sector despite so many schemes and policies? Amit Saxena: The government had started various schemes like Pradhan Mantri Mudra Yojna (PMMY), Credit Guarantee Fund Scheme for Micro & Small Enterprises (CGMSE), Trade Receivables Discounting System (TReDS), Stand-Up India for economically backward section and women entrepreneurs majorly aimed at making affordable credit accessible to small businesses and bringing them under the fold of formal financial system. Despite so many schemes, the following challenges remain in the system. Lack of awareness: Tier 2 and tier 3 based small businesses are not completely aware of the government schemes, lack financial knowledge and find it difficult to make the most of these programmes. Schemes like Pradhan Mantri Mudra Yojna (PMMY) should be marketed in these cities to increase awareness. Include private players in the lending schemes: Rather than financing the small businesses through just PSU banking channels, government should include private players like NBFCs & Small Finance banks in the lending schemes in a larger way which would widen the access of credit for small businesses. Besides credit unavailability and high interest rates, what according to you are the main hurdles to the growth of the Indian MSME sector? Amit Saxena: As per the Ministry of MSME Annual Report for FY 18, we have more than 6 crores micro & small enterprises, generating an employment for about 11 crore people which represent more than half of nation’s working population. These firms further account 30 percent of India's GDP, the report indicated. While there are various reasons demonstrating small businesses as the major contributor of economic growth, however, easy access to finance is a key obstacle for them to scale up. Other factors that create hindrance in the growth of small businesses include lack of availability of adequate infrastructure, lack of availability of skilled labour and lack of adequate power supply. In the last few quarters, most of the incremental credit to small businesses were coming from NBFCs. However, the default by a large ticket financing company created a liquidity crunch in the market. Do you expect the economy to grow fast in the current financial year? What about credit growth? Amit Saxena: There are various measures taken by the regulator and government to increase liquidity in the market. RBI for instance, has clearly focused on driving growth with the change in stance to neutral in its latest policy and reduced rates of interest. There is a strong indication that the regulator may further reduce rates in the coming months. This will help drive consumption which in turn will invite credit inflow. The RBI also announced harmonization of different categories of NBFCs to provide them with higher flexibility in their operations. At the same time, government in the recently announced Union Budget, introduced a pension scheme for workers in unorganized sector and relief for the farmers with a 2% interest subvention which would result in increase of spending capability. All this will culminate in extra demand for small business owners who in turn will need extra working capital to meet these demands. We believe such decisions taken by the government will not just enhance liquidity in the economy but also boost investment and give the economy a positive growth phase. Amit Saxena: We possess a strong footprint across the country when it comes to offering a large product portfolio of loans, payments and wealth solutions. We move forward with an aim to empower every individual and fulfil our dream of making this nation ‘An Equal India’. The rising penetration of internet and its potential to reach every nook and corner of this country, has transformed the way we conduct businesses. It has simplified the complex lending process and made it more technology-driven. Our emphasis has been on building data analytics while advancing customer assessment tools to providing our customers an easy access to our multi-product and multi-service platforms. In the last couple of years, we have witnessed a significant surge in demand for business loan and consumer lending solutions and, our businesses are scalable to cater to this demand. We strive to offer these services through a multi-partnership collaboration, which further enable customers to overcome constraints and fulfil their all life-stage requirement with financial services at the centre.